Keeping a nature journal using notebooking pages has been a part of our routine for many years. Each page is a treasure, showing some aspect of our personalized learning. Taking the time to slow down and record a memory, an experience, or an interesting fact takes nature study to a higher level. But, it is always easier to have a stock of pages on hand to quickly print when the mood strikes. 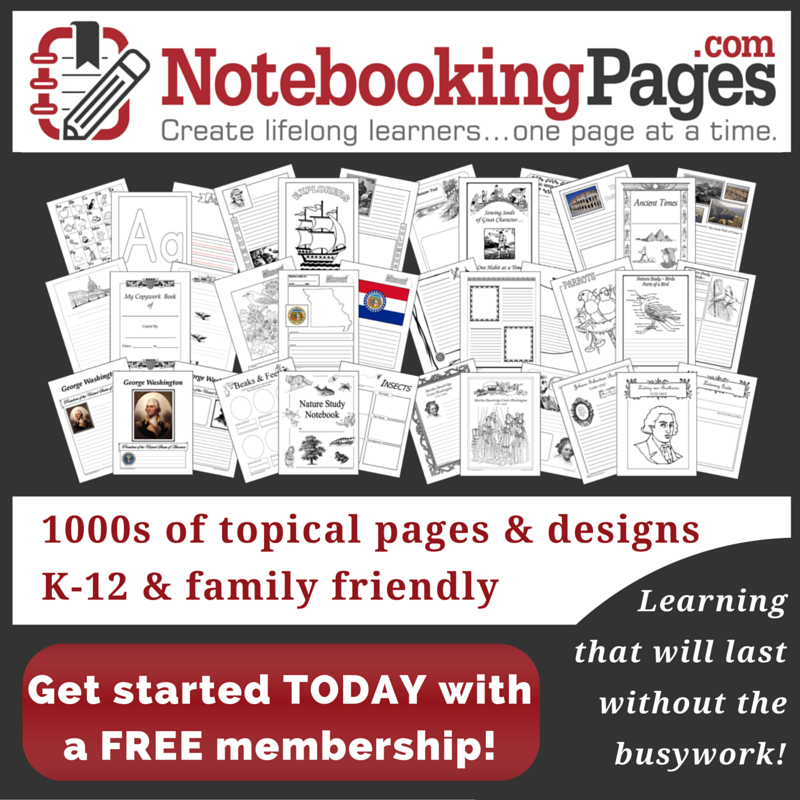 That is where this month’s blog sponsor comes in….NotebookingPages.com has a huge library of pages you can use that are ready to go. 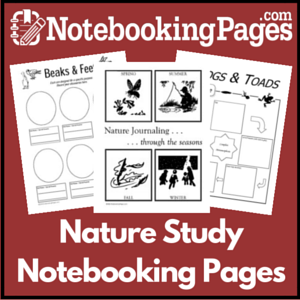 Although I use many, many of their pages in our homeschool, I will introduce the nature study sets we use in our home for you to get a taste of. You will see just a sampling of the pages available and for most topics there are multiple choices with lines or no lines, some with illustrations and some with a variety of sketch boxes. There will always be a notebooking page you can adapt to your area and topic. Note: If you have visited NotebookingPages.com before and been overwhelmed, please note that they have done a complete makeover and navigation of their many resources is now much easier and simpler. I have always had a Treasury Membership which gives me access to all the notebooking pages on the website plus all the new pages she adds during the membership year. There is no need to download every page when you purchase your membership because along with the membership comes access to all those pages forever. But, if you are just looking to add access to pages for your nature journal and aren’t ready to jump into a full membership, you can purchase individual sets to build up a library of pages to choose from for your nature journal. Tip: If you purchase a set of notebooking pages, print out the table of contents as a reference. 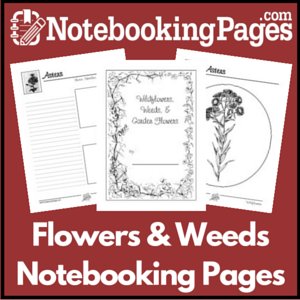 This way you will have a complete list of available notebooking pages and you will be able to quickly find the page you need when the time comes. Click over and see all 292 pages in this set for your to choose from: plants, trees, flowers, rocks, weather, etc. There are primary and regular lined pages with a variety of borders, boxes, lines, and prompts. You will have access to cover pages, bordered pages, and a special Creation Notebook set too. Follow the link above and view every page you will get in this Basic Nature Study Set. $10.95 (Take 50% off with the discount code: nature50 during the month of March 2013). This is the set we use the most in our family with 97 different birds and over 280 pages available at this time. $8.95 (Take 50% off with the discount code: nature50 during the month of March 2013). This set adds 30 more birds and over 680 pages available at this time. $5.95 (Take 50% off with the discount code: nature50 during the month of March 2013). 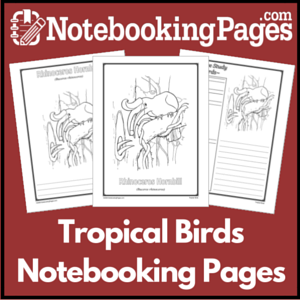 This set adds 43 tropicalbirds for your nature study. $5.95 (Take 50% off with the discount code: nature50 during the month of March 2013). 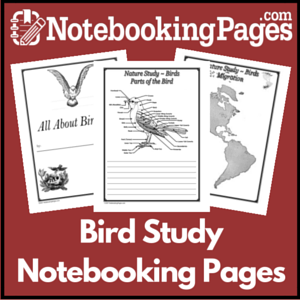 This set of 55 pages is a must have for any family that is studying birds. 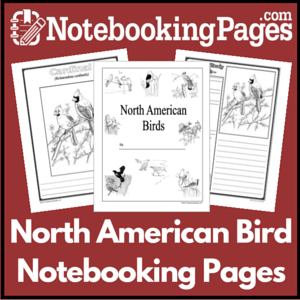 It includes pages for parts of the bird, feathers, migration, and plenty of general birds pages to make it valuable as a reference. $2.95 (Take 50% off with the discount code: nature50 during the month of March 2013). Please note: If you already own the Notebooking Treasury Membership, you have access to all these pages already and can find them in your Member Download Center. 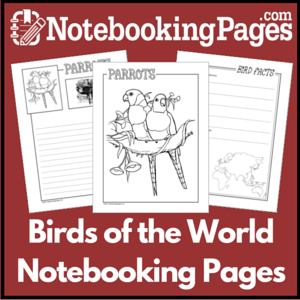 NotebookingPages.com is this month’s blog sponsor. Please note that I have used affiliate links in this post and other places on my blog for NotebookingPages.com.